It takes a lot of time to understand the journey. One has to live awhile first. Not just for a few years but for a few decades. It’s one reason why the old are considered wise. I think everyone agrees that they’re constantly searching for something in their life’s journey. Some purpose. Some meaning. An answer you must have. A point of fulfillment you desire. Yet, if you’re honest with yourself, you never seem to fully possess what you’re seeking. It’s like a shimmering mirage that fades again and again into the distance as you draw near to it. It’s always farther ahead. Never in hand. The story of my life is like that. It’s been a journey of searching: “A searching journey.” It’s led me to all kinds of places. I often talk about how our journey through life is—our should be—an ongoing process of conversion that is pointed toward a definite end. It often begins with a rather directionless search under the illusion of direction because we rarely know, at least early on, what the journey is really all about. This leads us to seek all kinds of things in and of themselves. Later, if the journey goes as it should, the search takes on a specific purpose directed toward an everlasting goal. If we’ve gotten things right, it is ordered to achieving eternal communion with the Tripersonal God. But things are not always clear. We have to begin to see where the true horizon lies and keep our eyes focused on that point. The people Israel, for example, roamed the desert for forty years during their journey toward the Promised Land. It entailed loss, confusion, disillusionment, unfaithfulness, stubbornness, failure, etc. 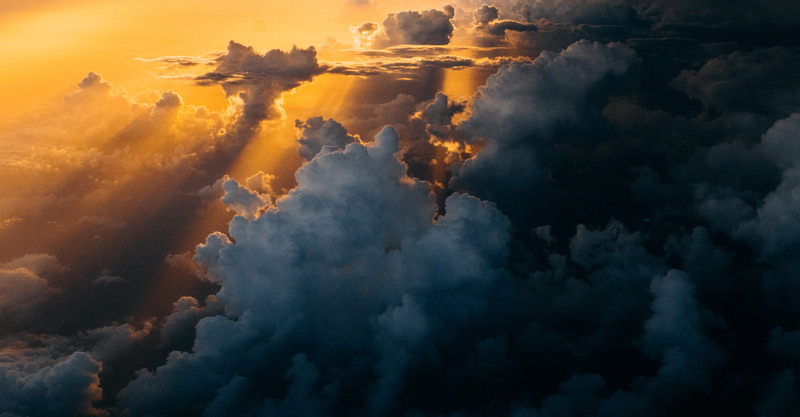 Yet, at the same time, it always included the divine leadership of God, who displayed unceasing guidance, care, and compassion for his people. And, importantly, the destiny was the Promised Land. We’re on that same kind of journey, although it is often obscured in mystery and by our own mistaken ideas and wishes. God says to us today, as he did to the people Israel so long ago, “And I will walk among you, and will be your God, and you shall be my people” (Lev. 26:12). Life is not simply a linear movement through time and space—although that is certainly a part of it—but a succession of events, encounters, and experiences that are both horizontal and vertical. There are highs and lows. Some of our activities here below indeed transcend time and space, touching on eternity and leaving marks within it. Sometimes we’re struck by the surreal, the unforgettable. These are unique, privileged moments when, it is hoped, the Divine Mystery breaks through and imprints itself on our consciousness. Other experiences go largely unnoticed; many dissolve into faded memory. It’s often the case that we’re not really paying attention as the moments pass by. Yet, one day when we look back through our personal history, we begin to make never-before-seen-connections, which bring new texture and light to life. The journey is thus illuminated. Our gaze turns toward the transcendent horizon. That, of course, takes a lot of time. One has to live awhile first. Not just for a few years but for a few decades. It’s one reason why the old are considered wise. In the mid-1980s, I became bored and disillusioned with the work I was involved in. It began to seem unsatisfying, unfulfilling and without opportunity. Each day became more tedious—depressing even. I longed for a new career, a new purpose. But I had no idea what it would be. The search was, once again, on. One day, a customer proudly showed me a plane he was building in his garage. Nearly finished, it was a sleek-lined, single-seat, elegant kit-built beauty. I imagined myself flying it, arcing through the sky far above crowded streets below. Then I wondered if I might be able to fly professionally. It would be a challenge. It would take a lot of time, energy and commitment to achieve such a goal. And there would be other, unforeseen costs. But why not? Soon after that day in a customer’s garage, I signed up for flying lessons at Hoffman Pilot Center, a flight training facility located at Jeffco Airport in Broomfield, Colorado (now called Rocky Mountain Metropolitan Airport). It was 1989. I vividly remember that first night in ground school with a smattering of other students. While we waited to get started, “Top Gun” played loudly on a small television at the front of the room. A retired military and airline pilot confidently instructed the class, occasionally inserting gripping stories into the lesson. One of my classmates, Mike, and I noticed we had a common interest: we both wanted to fly professionally one day. As a result, we developed and maintained a close friendship throughout many years of flying—right up to the present. A true friendship is like that. It doesn’t go away. Friends might live a long distance apart, not talk often or rarely see each other, but a true friendship never ends. It changes. It grows. But it continues on. We shared struggles and disappointments and employment setbacks. Nevertheless, over a span of about ten years, Mike and I acquired several hard-won FAA pilot certificates and ratings. Eventually, we each worked as a flight instructor, training pilots to operate single and multi-engine aircraft, both visually (VFR) as well as on instrumentation only (IFR). Flight instructing was one of the most fulfilling jobs I’ve ever had. Students were always eager to learn, excited to take to the air, and nearly always a joy to get to know and teach. I made a lot of friends. Each day was a new adventure. When people hear I worked as a flight instructor, they often ask, “Did you have any close calls?” meaning did a student ever scare me or did I ever scare myself? Oh, yes, there were a few of those, although I was never involved in an accident. Ironically, I attributed my survival to my “exceptional piloting skills.” What a joke. As I said, sometimes we’re not really paying attention. There have been many times in my life when I’ve failed to notice God’s providence. As I get older, those times get fewer. Eventually, Mike was hired by Great Lakes Airlines, where he flew Beach 1900s. About a year-and-a-half later, I was hired as well. Below is a picture of the people in my new-hire training class. It was taken in a Great Lakes maintenance hanger in blustery Cheyenne, Wyoming, in 2002. Mike continued on and currently works as a captain for a major airline. My search led me to another place. Although my love of flying hasn’t left me, it’s taken on a new dimension. When an aircraft passes overhead, it’s rare that I don’t find myself glancing upward to take notice of it. But when I do, I fully realize that now I dream of flying of a different kind and in a different place. 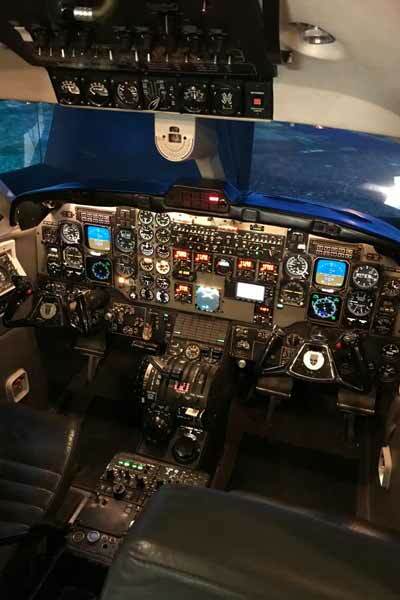 It’s not as a pilot seated behind the controls, with dials and gauges and thrust levers and electronic displays spread out in an array before me. It’s a flight into the heavens, a raising of mind and heart to a chorus of unimagined light, truth, peace, beauty, and joy. It’s connecting with the Divine Other who is himself fulfillment and the final horizon of the human quest. Now I’m an ordained member of the Catholic clergy. As such, I spend much of my time talking or writing about God. I try to help people see the real journey that often underlies—and can be clouded by—the one apparently on the surface. I try to help them understand what “the search” is ultimately about, to go deeper and to begin to see how the true desire of their heart is not merely to wander aimlessly through the desert but to walk with purpose and commitment toward the Promised Land. You see, regardless of the career you’ve chosen or your state of life, it’s essential to understand why you—or anyone else, for that matter—search at all. What is it that drives you, drives anyone? What are you really searching for? More accurately, Who calls to your heart and Who alone can fulfill it? Whether you’re flipping switches and pulling levers in an airliner or tossing pancakes or cranking out the night shift on an assembly line—whatever it is, you have to open your eyes to the real search and set your feet upon the real path. Above all, I try to help people realize that the Promised Land, so desired by every human heart, is not a place but a Person: Jesus Christ. 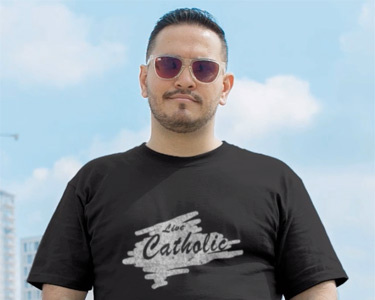 “Jesus Christ loves you; he gave his life to save you; and now he is living at your side every day to enlighten, strengthen and free you”—Pope Francis in Evangelii Gaudium, 164. That’s what Advent is all about. It’s a new kind of flying, in a different way and in a new direction. The destination is not a place but communion with a Divine and Human Person. Photo Credits: Top: Photo by Tom Barrett on Unsplash. Second: Beech 1900 simulator, by Captain Michael McCourt. All rights reserved. Used with permission. 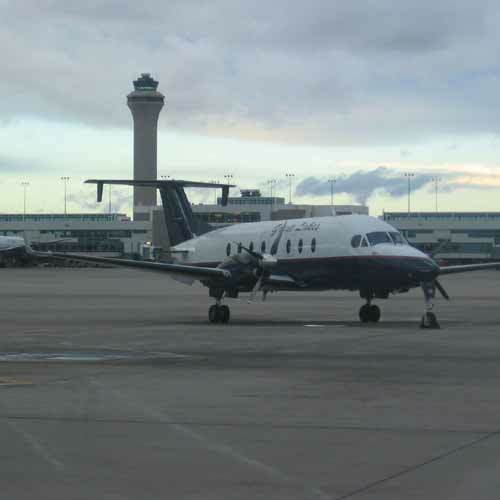 Third: Great Lakes Airlines Beech 1900. Attribution: By Martin Rottler [CC BY-SA 2.0 (https://creativecommons.org/licenses/by-sa/2.0)], via Wikimedia Commons. 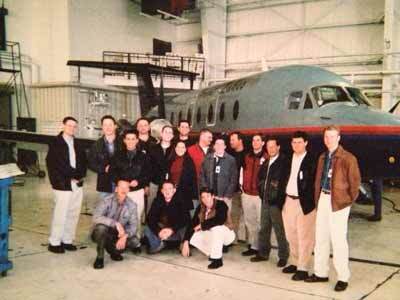 Fourth: Great Lakes Airlines maintenance hanger, Cheyenne WY, class of 2002.